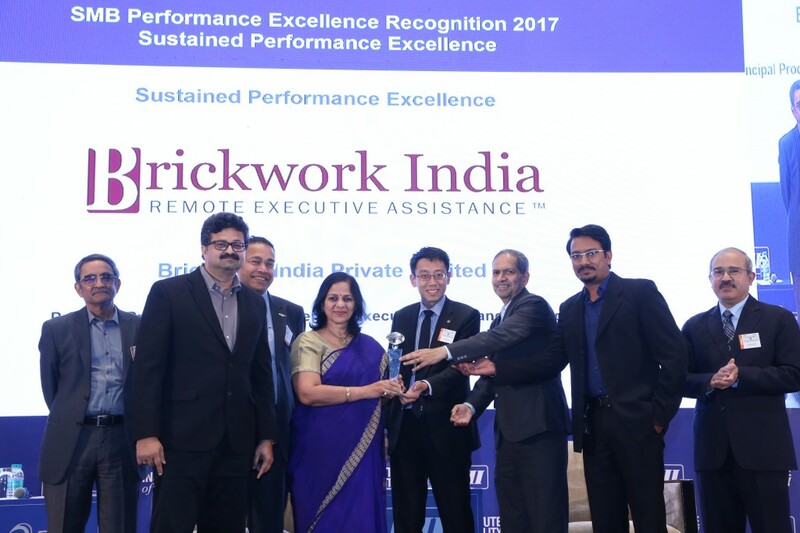 Brickwork India has been recognized with the "SMB Star Icon Award for Sustained Performance Excellence" at the Business Excellence 2017 Awards function hosted by CII institute of Quality and Exim Bank, at Hotel Taj Bangalore on 25th November 2017. The assessment is based on the "European Foundation for Quality Management (EFQM) Excellence model" which evaluates an organization's sustainable competitiveness and journey towards excellence. The fundamental concepts of excellence related to Customers, People, Operations and Business. There were 4 levels of recognition based on the total score achieved. It is a matter of great pride that Brickwork received the highest level of recognition of "Star Icon", across all the Indian SMB's by scoring over 500 points in its maiden attempt itself.